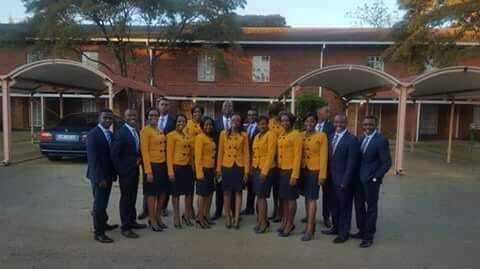 Midlands State University emerged victorious in the 2018 edition of BOOST ENACTUS National Competition. And consequently earning a place to represent Zimbabwe at the 2018 Enactus World Cup to be held in Silicon Valley, USA. The competition is an initiative of BOOST Fellowship which showcases the community empowering projects that Universities undertake to transform people’s lives. Enactus is the World’s largest entrepreneurial showcase competition for social impact. This year more than 20 business executives presided over the competition as judges, assessing the community empowerment projects of the participating teams and provided valuable input. The teams were expected to come up with projects in which they contributed their time or talents for charitable, educational or social purposes in their communities freely. This year’s competition involved 9 nine universities, that is, Chinhoyi University of Technology (CUT), Bindura University of Science and Technology (BUSE), Harare Institute of Technology, Women’s University in Africa (WUA), Catholic University of Zimbabwe (CUZ), National University of Science and Technology, Great Zimbabwe University, Midland State University (MSU) and Zimbabwe Ezekiel Guti University (ZEGU). The nine teams were separated into two leagues. From the two leagues, only 4 teams qualified into the final. And these were, CUT, BUSE, from league 1 and MSU and NUST, from league 2.with each team. What were MSU’s winning projects? MSU flagship project was a platform called Tech-Revo which is basically the website where Chinhoyi Univeristy students can easily find accommodation. Tech-Revo is providing income to at many students who are now able to pay for their university tuition fees. MSU also unveiled a project called Mambokadzi which intervenes in the rehabilitation of victims of child marriages through encouraging the victims to do social enterprise by selling menstrual cups to communities. BUSE introduced Buxlink, an app that allows farmers to access financial information from different financial institutions. Furthermore, BUSE unveiled a project called Glet that is helping vendors in the rural areas to process low-grade (but edible tomatoes) through drying them and grinding them into powder so that they have a longer shelf life. NUST presented a smart gas meter which is essentially a monitoring device that detects gas leaks and the level of gas in the tank. Correspondingly they came up with an application that allows people to order gas via SMS or WhatsApp. CUT presented Polycycle, a project that recycles plastic materials for use into viable poly savers and other associated projects. Anyway, congratulations to MSU and I hope you shine on behalf of us, Zimbabwe and win that World Cup in Silicon Valley.